FileMaker and Outlook integration Archives - Productive Computing, Inc. If you are interested in integrating your FileMaker solution with Microsoft Exchange or Outlook and you have taken a peek at our site, you have probably seen that we offer a plug-in for each. 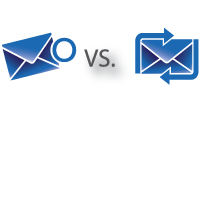 To further muddy the issue – you’ve probably noticed that the Outlook Manipulator works within the Exchange Environment. Check out this blog for more information on which plug-in is right for your integration.